If you read my recent review of Ubuntu 16.04 you will know that despite the Ubuntu Software Centre being replaced by the GNOME Software installer the same problems are still there, notably that you can’t easily install Chrome, Dropbox, Steam, Skype and the multimedia codecs. In this guide I am going to introduce you to a tool which will help you install all of these packages and many more. It is worth noting that you will have to add a third party PPA but believe me it is worth it. 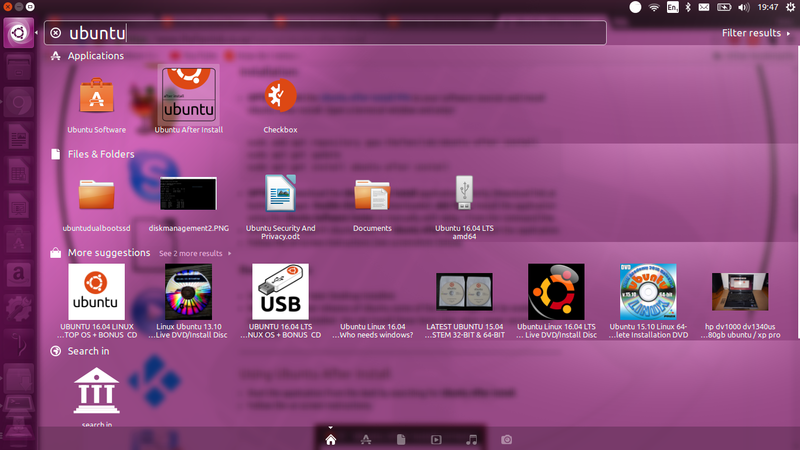 The tool I am going to show you today is Ubuntu After Install. 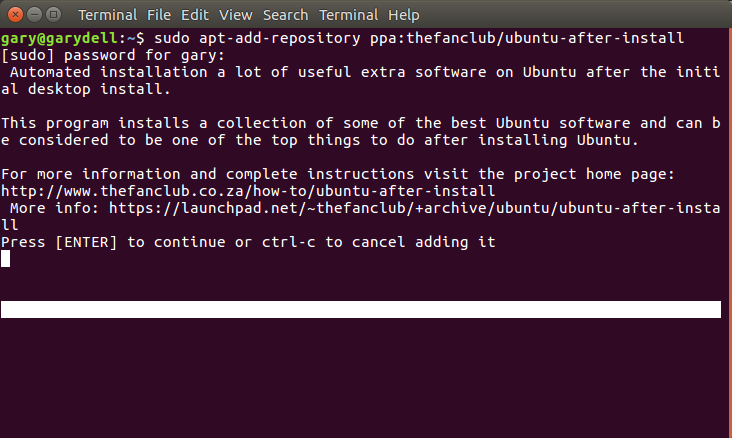 You can read more about it by visiting https://www.thefanclub.co.za/how-to/ubuntu-after-install. Now I am not suggesting you will want to install all of these but there is bound to be something on that list that you will require. Open a terminal window by pressing CTRL, ALT and T at the same time. A message will appear telling you what the PPA is about. Press enter to continue adding the repository. Press the super key on the keyboard (Windows key). 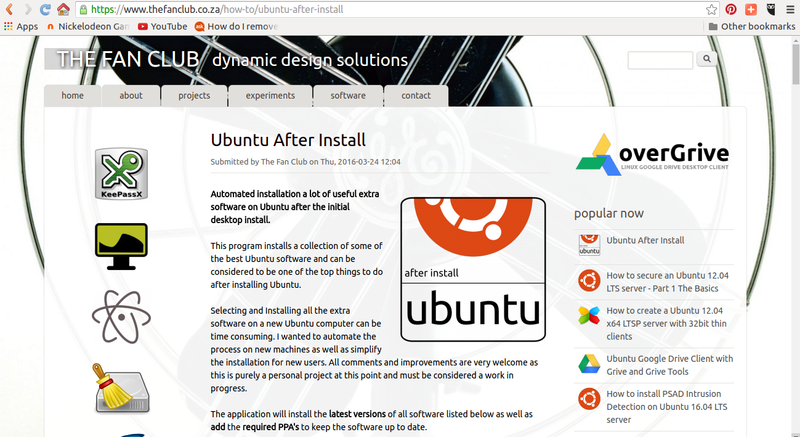 Type “Ubuntu” into the search bar and an icon for “Ubuntu After Install” should appear. Click on the icon. The user interface is very basic. There is a list of applications. To the left of the application is a checkbox. If you leave the check in the box the application will be installed. To the right of the application is a little circle. If the circle is green the application is already installed. Rather annoyingly all of the applications are checked by default. If you just want to install a few applications you have to untick all the other applications. The interface could do with a select none button and a select all button. 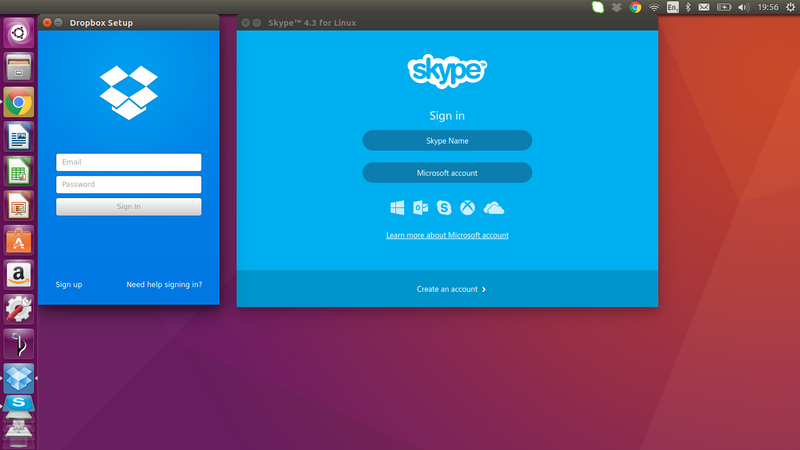 I used the application to install Skype and Dropbox. I already had the Restricted Extras and Chrome installed. When I clicked install both applications were installed correctly as shown below. The procedure wasn’t entirely as simple as clicking install. Dropbox required clicking another download button before it installed completely. I would therefore recommend that installing one or two applications at a time because you might find more and more installers requiring input. I can already envisage Steam requiring a large update and license agreements appearing. The only other thing to note is that despite the application stating it had completely installed both applications the Skype progress bar was only at 99% which is a bit disconcerting. Did it or did it not fully install?. As you can see it did install but there is obviously a slight error with the progress bar. 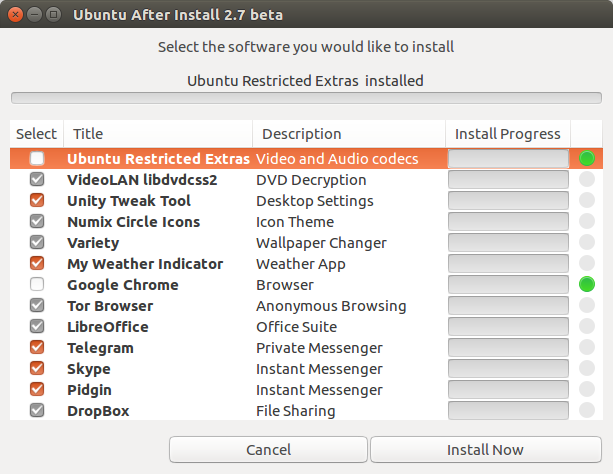 This is a great tool which will save people time when installing much needed applications within Ubuntu. 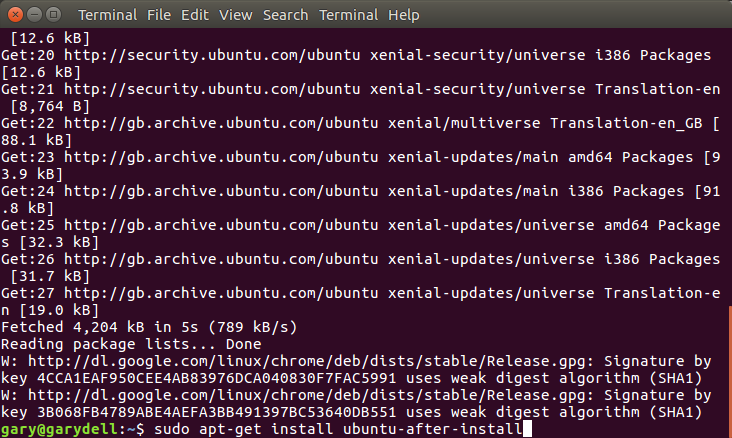 To be honest the tool shouldn’t be required because Ubuntu’s own package manager should make it this easy. However things are what they are and hopefully highlighting the availability of this package will help. I don't use dropbox or skydrive, US agency put the nose in. 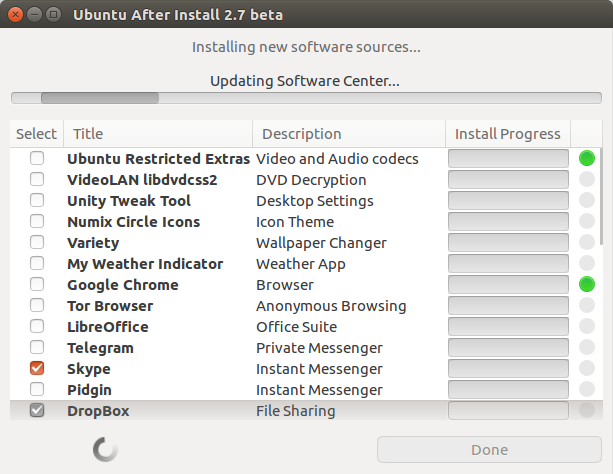 Apart that, thanx for "ubuntu-after-install", but how much space on HDD is occupied… after install? Then get everything from there (especially Dropbox – the easiest, most trouble-free way to install it, complete with progress report.